In the last post, I talked of Dad’s memories. This post is about how Begonia Station is now. I’d like you to meet Anne Young – owner of Begonia Station for the last 10 years. 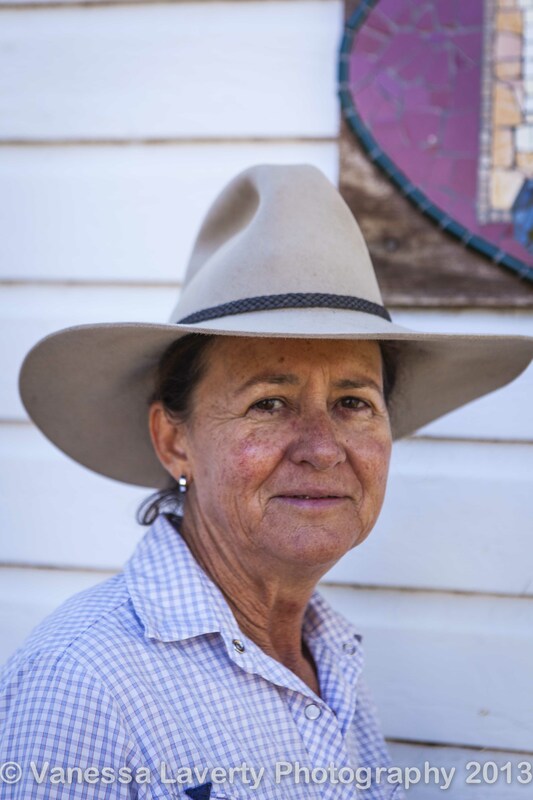 Anne grew up in Dulacca and her parents have always been involved on the land. Her dad was a shearer. 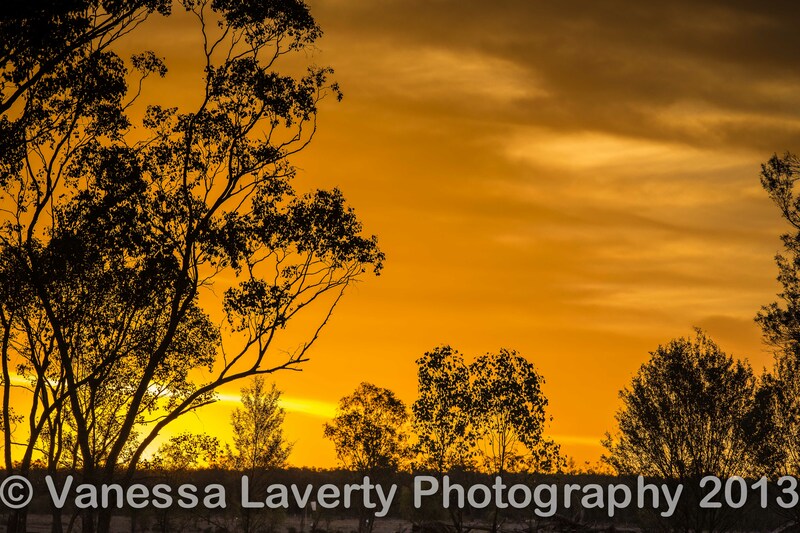 Now, those who truly live on the land in Australia (properties, stations and the like spread around this great country of ours) know that Mother Nature will deliver floods and then will deliver drought. It’s the circle of life and every farmer worth their salt knows that these things will occur. They don’t sit around and complain about the drought – they get on with it. They keep the feed and water up to stock as much as possible then have to deal with the heartbreak of stock dying of starvation or thirst or selling stock at market for a less than profitable price knowing full well that when the rains come, they will have to buy stock at high prices to start again. Likewise, during the floods, they don’t complain to all and sundry that they didn’t have time to move things, that Mother Nature is cruel, who can we blame for this terrible misfortune. No, none of that. They know that the rains of the floods will fill up the water tables that will provide much needed moisture to grow good crops which will feed their stock for a few years. People who live on the land know that these things will happen. In January 2012, Anne’s husband, John, was walking around the property when he died of a massive heart attack. He was buried in Toowoomba and she was staying with family when news came of the floods. After this terrible turn of events, Anne headed back to Roma where the couple had a home that was also flooded. She cleaned up there and then headed to Begonia to see what had happened there. She found her home knee deep in water but good friends and neighbours had already started to help with the clean up. It wasn’t until April 2013 that her home was finally completed. She had a choice. She could have sold up and moved back to Roma but she chose to stay on. She left her job with the Dept of Education and set about the task of rebuilding her life around Begonia. In March 2013, they had a little more rain. Then…nothing. No more rain with the exception of the odd shower here and there. A couple of inches here and there before we arrived in December and that’s it. That’s all the rain they have had in 18 months. Everyone else in this area is in the same boat as is most of Western Qld. Anne is looking after this property on her own. Recently, Chelsea, her niece finished grade 12 at Wynnum High and chose to head out to Begonia instead of Schoolies to give her Aunt a hand. I spoke to Anne the week before we were heading to St George and asked if we could drop by for a cuppa and a chat – explaining who my Dad was etc. She invited us to stay at her property for a couple of nights. She has begun advertising farmstay facilities and you can see her website here and tell her we sent you. You can see images of the buildings and surrounds in my previous post about Begonia Station Buildings. The afternoon we arrived, Anne invited me to come with her to check the paddocks – checking on new calves, checking the rain gauges, checking the state of the dams etc. The dams were low but we could see the evidence of the inch or so of rain that had occurred a few weeks prior. It gave cause for hope. I have never seen anyone so happy for 1” of rain. They need 10” more but she will be happy with just 1”. As we had driven up from Dirranbandi, we could see the state of the cattle on the sides of the road. They were painfully thin – ribs and hindquarters sticking out. They had been allowed to get through the fences because there was some green pick on the sides of the road. Old cows and those with calves were allowed out there. The cows feeding calves were in the worst condition. When we did the run around her property, her cattle were in the same condition. Poorly and mostly were painfully thin. The calves were looking in good condition because they weren’t weaned and so taking all the goodness from mum. At the sheds where some round bales of hay and some cotton-seed was kept, the cattle had broken through the fencing to get to the feed. It was heartbreaking tearing them away. Feed has to be rationed. Chelsea shovelled a few barrow loads of cotton-seed into some troughs for them and we tried to move some hay but the battery on the tractor was dead. Anne has been deciding on when she will have to sell some cattle for some ridiculously low price. She has to decide within a week. There was a bit of rain a few weeks ago and now one of the laneways is showing some green pick. Usually Anne likes to leave the laneways untouched so that when cattle are mustered to and from different paddocks they have something to eat in the lanes overnight between paddocks. This time, she can’t afford that luxury. It was decided to corral the cows into the pens for the night and move them to the green pick the next day. 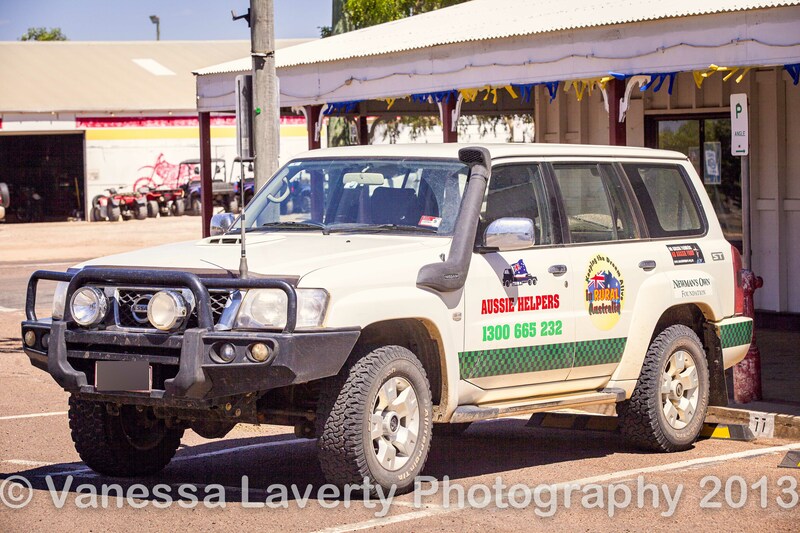 The next day, both Damian and I helped out with the muster – Chelsea on the quaddie, us in the ute and Anne in her ute. Anne had to wean a few of the calves as they were just taking too much from their mothers. The sounds of mothers calling out to their calves was heart wrenching and several were intent on making their way back. We let them go. If we made them stay, they would wreck the fencing trying to get back to their calves. It was going to be a hot day, so we moved them very slowly bearing in mind that there were new calves in the herd, one being dropped during the night. 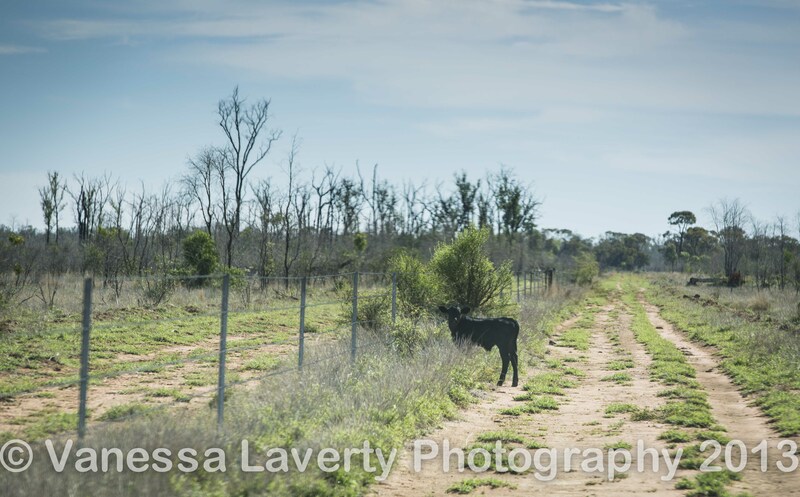 We worked on through the day – the long and laborious process of moving a herd of cattle from bad country to country not quite so bad – knowing full well that this was only a stop gap measure unless much needed rain found it’s way to SW Qld. We had to leave the next morning and we were relieved that in some small way, we were able to help this lovely lady doing it tough with only her niece to help her with the hard yakka. I spoke to Anne a couple of days ago, and she was able to tell me that they had received another shower. Something is better than nothing. For Christmas, all they want is a huge downpour of steady, ground soaking rain lasting a week – 10” would be nice. As we left and travelled to our next destination, the thought occurred to us that we would like to make an annual trip to Begonia to help Anne with whatever she needs help with. This time we would stay a week or more and help muster, mend fences that sort of thing. If anyone out there would like to assist, let me know and we can sort something out. There are many stories like this across the land and there are organisations that help out such as Aussie Helpers (insert link) and the like. If you want to help but can’t do anything physically, Aussie Helpers are always looking for donations so that they can deliver hay and other things to farmers in our country. Don’t forget though, if you’re travelling out St George way, Anne’s home is available as a place to stay over. We camped, but there are other options as well. Check out her website and give her a call. She’d love to have a cuppa with you. These are images of our campsite set up on the property. I even found an old Holden rusting away behind where we were camped. And so you can see that even during drought, there are some pretty sights, here’s a fabulous red sunset over Begonia Station. In the next post, we are saying goodbye to Begonia and Anne and moving on to Charleville. It’s hard being on the land with drought and flood but it’s harder to leave it. My hat goes off to Anne managing it alone. It would’t be easy.